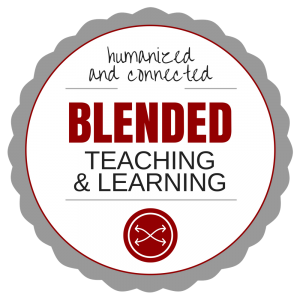 The Summer 2017 cohort of the Blended Learning Preparation Program is designed to investigate whether or not blended learning can be a strategy used to address the need for additional classroom space at CI. An increase in classroom space will allow the University to offer additional section. The program is focused on courses that are less than 45 students in order to maintain our focus on interactive, humanized learning, high impact learning. Over the summer and into fall, ten faculty will work together to redesign courses from traditional course structures to blended with the intent of doubling the number of course sections that use a single space. Faculty participating will evaluate the outcomes of the blended courses and report on final grades, student engagement, and faculty satisfaction. Class Structure: Faculty will choose to meet with students in person on either Tuesday or Thursday. The remaining course time will be online. In holding with proven methods of blended instruction, we will focus on developing a well designed online portion of the course so the in person time can be spent engaging in rich discussion and problem-solving around the content. Outcomes: Faculty will design a 50% in-person/50% online course. As part of the re-design, faculty participating will setup an assessment plan that allows us to examine any changes to student outcomes as a result of the redesign.